Well the Imaginarium event run by the University of Sheffield on Saturday was great. 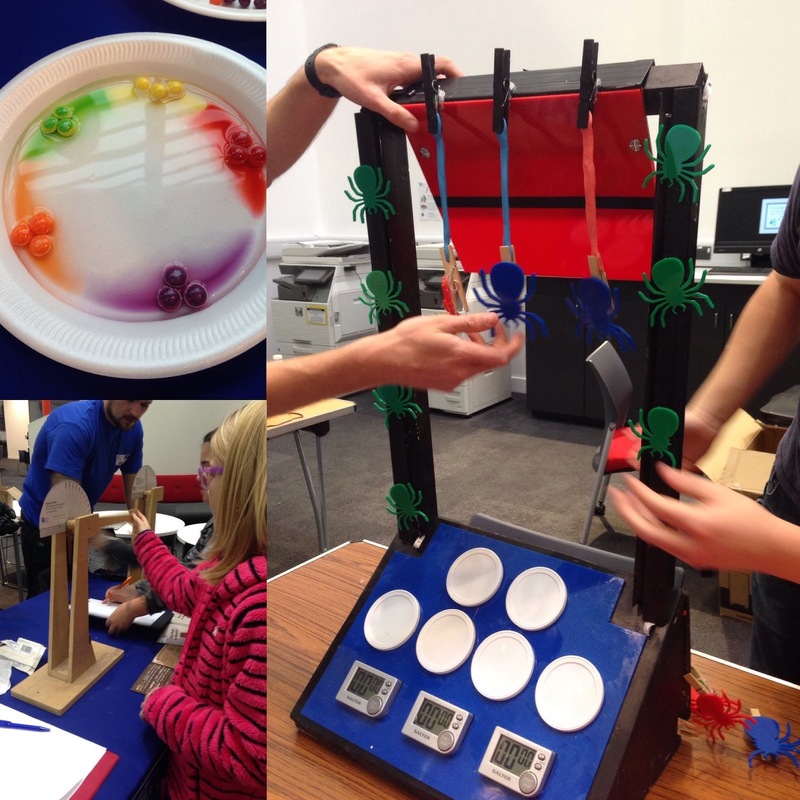 Umpteen engineering experiments engaged us for well over 2 hours and it was lovely to meet so many enthusiastic talented students. T was fascinated and inspired, quite full of sweets and rather wet. The most successful experiment was friction testing T's fingers to trigger a spiderman climbing upwards. The marshmallow and strawberry lace DNA making, candyfloss eating, Skittle colour merging and chocolate breaking experiments meant she did pretty well on this one. And there was I about to get her to wash her hands first. Once again we are so lucky to have these resources on our doorstep. 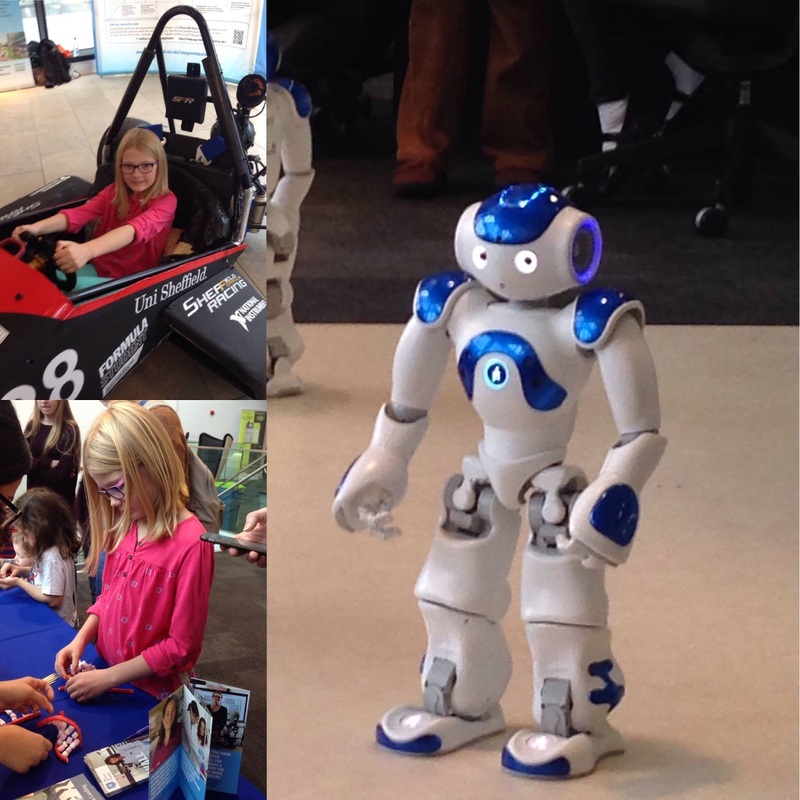 A totally free event for kids demonstrating fascinating and fun engineering and showcasing the university. We even got to play with virtual reality building blocks and very expensive robots. I'd recommend you keep your eyes peeled for another event - we certainly will be.